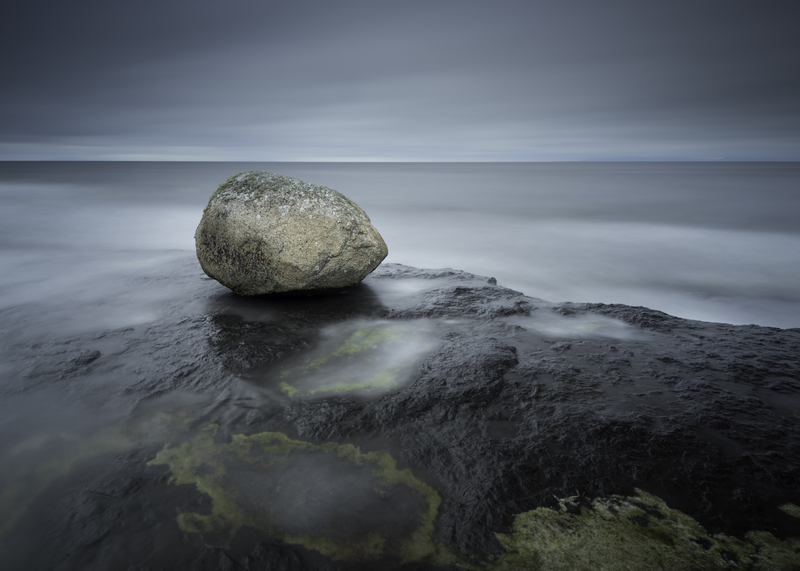 Today you will learn about a little location which is totally under shot with regards to landscape photography. Easkey in Co. Sligo is a hidden gem. I first visited Easkey as a child for a spot of Salmon fishing with my father and brother. Since taking up the camera, I have visited twice. It is shocking how undershot this location is. It is hard to find a landscape photo from this location on the net. Easkey is a small village with a big history. It can be found on the coast around 20 miles west of Sligo town and about the same distance east of Ballina. Apart from an increase in tourism due to surfing, Easkey appears to have escaped the usual development seen in Ireland during the celtic tiger years – I view this as a good thing. The village has an extremely long history dating back to the stone age. Its name derives from the Irish language term for fish “iasc” and “Iascaigh” literally meaning “abounding in fish”. This is due to the Easky River that runs through the village itself. 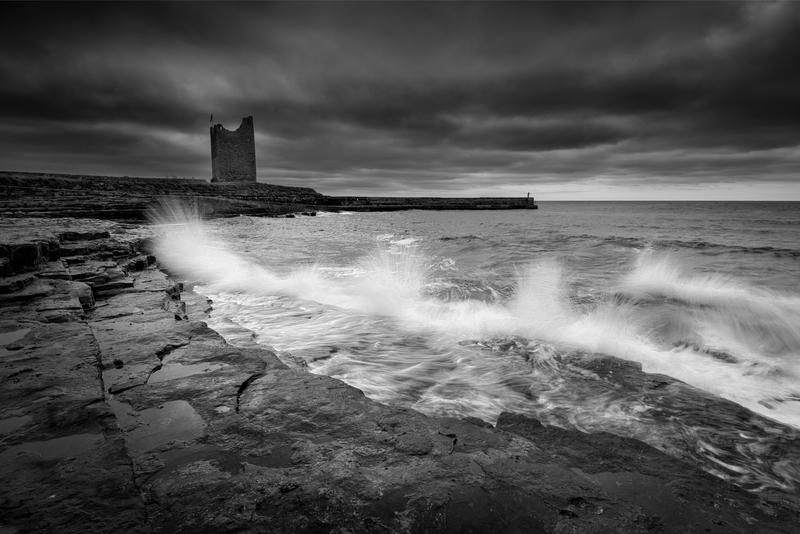 A dominant landmark in West Sligo, Roslee castle is beside Easkey pier. Much of the original structure of the castle has been lost over time, yet the main body of the castle remains. For the history buffs amongst you, the following information is taken word for word from the sign at the castle door. “The castle was constructed in the year 1207. The building stands approximately 63ft at its highest point. This point is known as “sailors bed”. Roslee castle was built for Oliver McDonnell known as McDonnell Of the Isles, the islands between the coast of Antrim & Scotland. McDonnell Came to Tireragh to marry an O’Dowd widow. Tireragh – Tir Fiachra, the strip of land from Ballinasodare to the river Moy. The O’Dowds placed their followers and Gallowglass’ in their lands so long as they were loyal. The O’Dowd clans or sept traces it descent from Fiachra, brother of Niall of the 9 hostages, through Daithi, the last pagan King of Ireland who, legend has it, was killed by a bolt of lightning as he led an army to the foot of the Alps in 455AD. His grandson Aillil succeeded as King of Connaught and later King of Tara until 482AD. The style and design of these small Irish castles is said to have originated from a subsidiary of 10-pounds which was granted by Henry 4th in 1429. However, many of the O’Dowd castles have a far more ancient history of being built directly over the site of stone age and bronze age fortifications. On the 2nd July 1618, King James 1st, granted Daniel O’Dowd with various other possessions, “Two castles, a kitchen, a bake house within the bawn of Roslee”. In the 1630’s, there was a mill beside the river which, it is said, was given by the McDonnells to a carpenter or mason to carry out their usual work. The castle remained in the possession of the McDonnells and Mac Sweeneys who were under Chieftans of Tieragh for most of the time up to the rebellion of 1641, or possibly until the battle of Aughrim in 1691. In 1691, the castle became the property of a man by the name of Ormsby. On the 10th July 1779 the Artists and Antiquarians Beranger and Bigari visited Roslee Castle and sketched it. Again, taken from Wikipedia – “The bridge provides access to the main village from the Sligo side of the area. 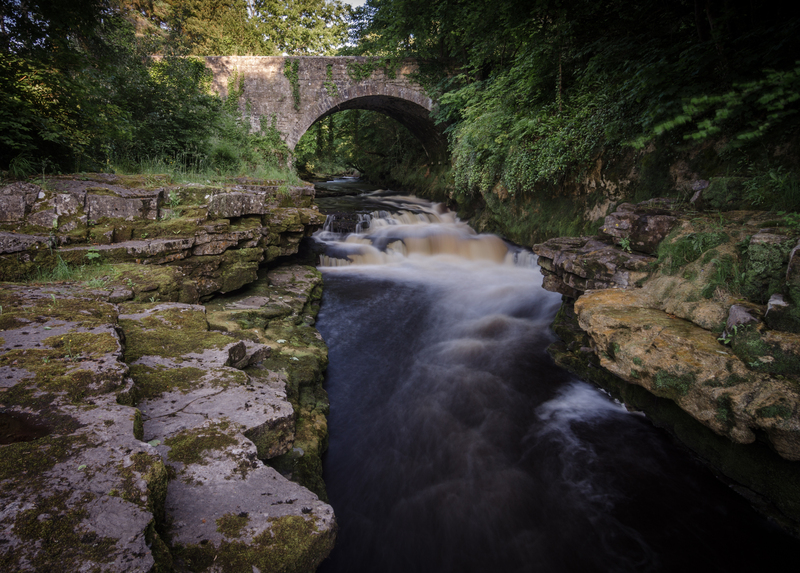 It was built in 1847 after the old bridge was washed away in a storm in 1844. It contains the Bullance stone, which is built into the bridge wall and is a symbolic drinking trough, which qualified the village to hold a “Fair Day”. The water is reputedly a cure for skin infections. Hangings took place at the bridge in the 19th century. A similar type bridge is located south of the village in the local woods. This is known as “Fortland Bridge”. Geologists have become increasingly interested in the rugged coastline around Easkey. It holds fossil structures that date back for millions of years You tireally fall over them all around both sides of the pier. As noted earlier, I have visited Easkey twice with a camera. Once when I was just starting out and once more recently. 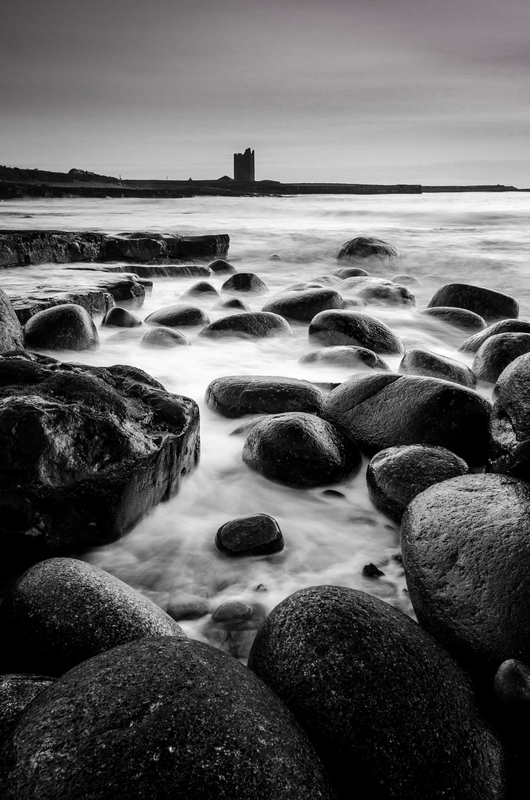 My main photography focus has centered around the castle and coastline. There are unusual rock formations/plateau’s to the west of the castle & pier forming a beautiful foreground whilst the sea & castle help complete a great composition. 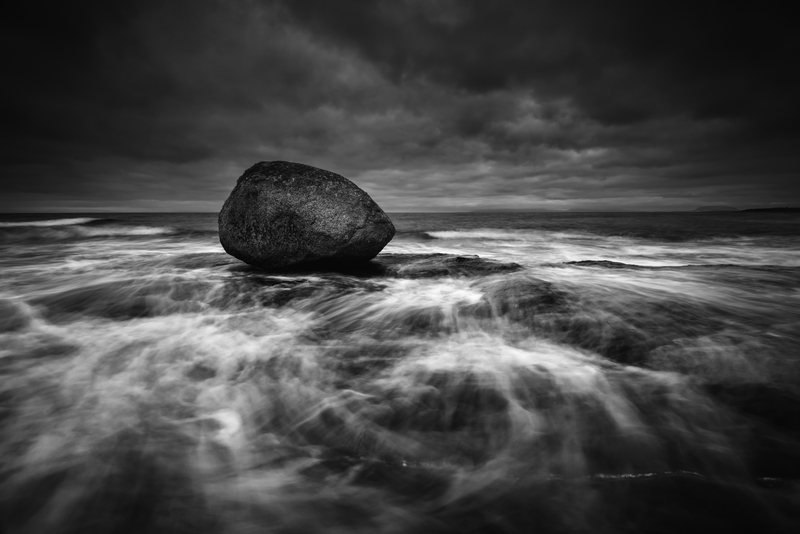 Due to the dull nature of the weather experienced on both visits, I have focused on monotone, moody creations. Even in dull weather, there is plenty to shoot. A little wind helps whip up the waves for some movement in the water. I have no doubt, this location could be stunning in colour with the right sunset. Follow the river up past the village and you will reach the second old stone bridge. It is extremely isolated and well hidden to tourists. This is a picture by itself. The river is surrounded by trees and in the right sunlight, beams break through the branches leaving opportunity for amazing images – sadly, this one is a childhood memory I hope to recapture at some point. On my last visit, I hung around desperately hoping for a last minute break in the clouds. I broke out the macro lens and captured some interesting images of the fossils lying around. Its worth a trip just to walk around and see what you can find.